An understated mix, not too fussy or large. White with green berry & wisp 17. 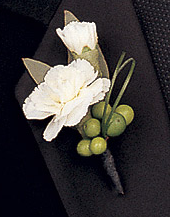 SKU: 1afa34a7f984 Category: Corsages and..